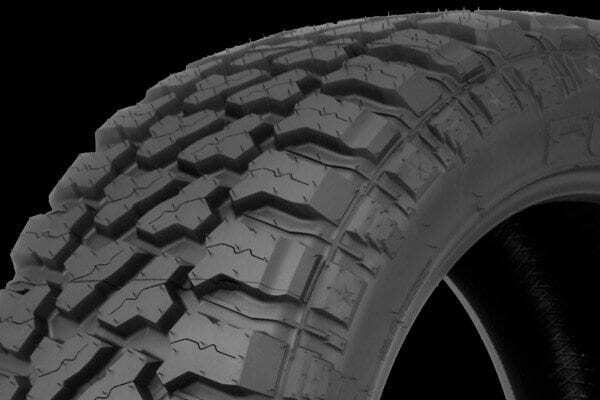 The all new COUNTRY HUNTER M/T tire pattern design is truly fit for the off-road. The low noise characteristics and continuous road traction make it ideal for daily driving on or off-road. 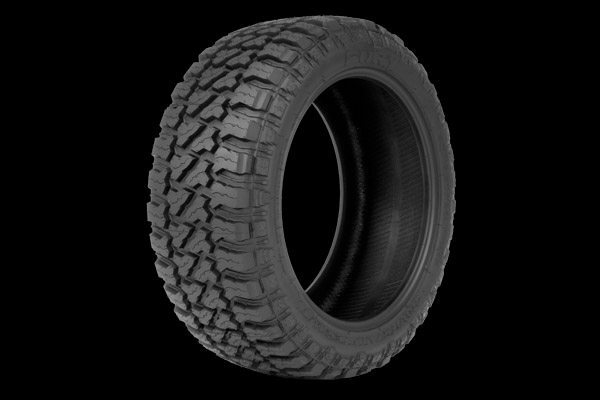 Designed with an enhanced beefy tread pattern the Country Hunter M/T efficiently distributes contact evenly throughout the tire for a balance wear, while eliminating mud and dirt between the tread, providing an uninterrupted grip on or off-road. The aggressive bold pattern and non-directional tread design employs deep lugs features with a center zone for a truly exceptional off-road experience. The deep sipes design decreases hydroplaning, while increasing traction during wet conditions. The arched and segmented stone ejectors extend from the shoulder tread to aid in ejecting stones and debris from lodging between the tread elements, while maintaining its soft surface traction. The 3-ply sidewall was designed with a high turn-up construction to act as an extra resistant reinforced layer to avoid tire puncture. Staggered shoulder blocks are designed for lateral grip in dirt, mud and snow.